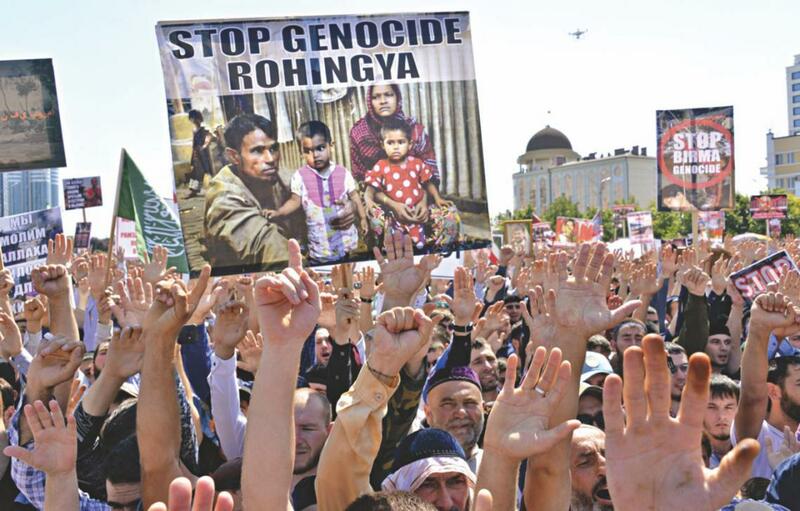 People take part in a rally in support of Myanmar’s stateless Rohingya minority in the Chechen capital of Grozny, Russia,on September 4, 2017. 20 Nov 2017 – “Ethnic cleansing” is not a crime under the Rome Statute of the International Criminal Court. It has no legal meaning in international law. Another term without legal meaning is “atrocities”. Use of the terms has no relationship to the number of people killed. Eight thousand killed at Srebrenica was ruled “genocide” by the International Criminal Tribunal for the former Yugoslavia. Yet a UN Commission of Inquiry held that over 50,000 killed in Darfur (now over 300,000) was a “crime against humanity” but not genocide. The term chosen is determined by the willingness to take forceful action to stop the killing. It was not until “genocide” became the dominant term, that force was used to stop it.